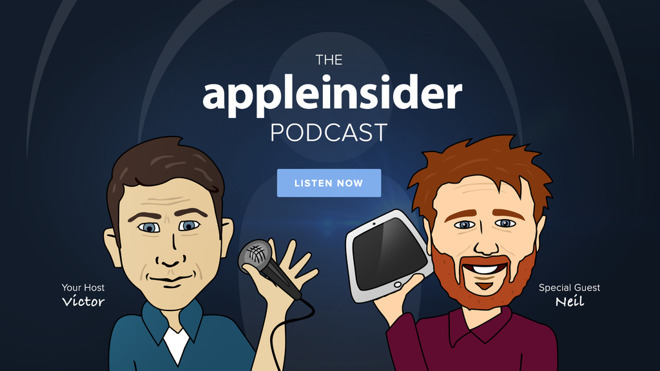 This week on the AppleInsider podcast, Victor talks about the iPhone battery debacle, supply chain orders for iPhone X, and has an interview with synthesizer musician Suzanne Ciani. Apple rumored to cut orders on iPhone X. Conversely, Rosenblatt Securities thinks this is wrong, iPhone 8 / 8 Plus orders are being cut, iPhone X is adding sales in China. Amazon Alexa tops the App Store charts in the US. Victor relates what it's like to set up Amazon Echo Dot outside the US, and how a $29 dollar speaker competes with the concept of a $350 HomePod. Apple to release the source code of the Lisa operating system and launch applications to the Computer History Museum. This is one that matters for archival and educational purposes. Apple's battery nightmare. Apple has issued a note calling it a 'misunderstanding', reducing price for replacement to $29, and promising to update the OS to let users know their battery status. Victor isn't at all sure this solves the experience problem of being confronted with a warning that your battery is bad immediately after an OS update. Qualcomm, Apple, and Apple's exploration into using MediaTek's baseband radios. Apple's plans for dividends, stock buybacks, and repatriation. Suzanne Ciani, one of the best synthesizer artists in the world, talks about her experiences with computers in music, Mac, iPad, and more. Follow our host on Twitter: @vmarks.